Danta is a small town in the Banaskantha district of the Gujarat. Before 1947 the town of Danta was the seat of a princely state and was merged with the Dominion of India on 6th November 1948. Featuring a rich past the place is dotted with large number of Hindu temples, forts and palaces. Presently the royal family of Danta runs a heritage hotel, situated close to Mt Abu in Rajasthan. This majestic town receives a large number of tourists from all corners of the world. 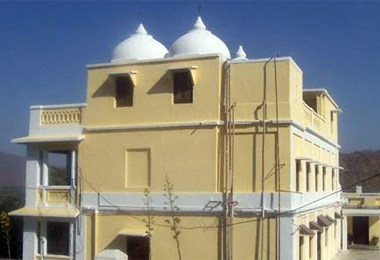 The heritage hotels of Danta were built in the colonial period and feature a typical Gujarati architecture and exhibits beautiful interiors to make its visitors feel splendid. The accommodation in these hotels is provided in terms of various categories of rooms which are intricately designed and are done with traditional furnishing. All the rooms of the heritage hotels come fitted with modern day fittings with an air of traditional vintage nostalgia. At these luxuries properties the guests are served with incredible Indian cuisines along with local Gujarati delicacies. The other highlights of the stay include facilities like Horse safaris, Jeep safaris, baggage storage, parking and Credit cards accepted. The Danta Heritage hotel are the most sought accommodations and booking it through Heritagehotelsofindia.com online portal one can avail great discounts.